Someone will die in space. Some day someone will be killed whilst working on an offworld colony or space station. One day space will just be another workplace, and all workplaces have accidents. Perhaps more to the point; space will not be devoid of crime. As humanity begins it’s gradual ascent beyond low earth orbit everything that makes us human will follow us out into space: our drive to explore, to look upon new vistas, and our darker side. It makes sense really. 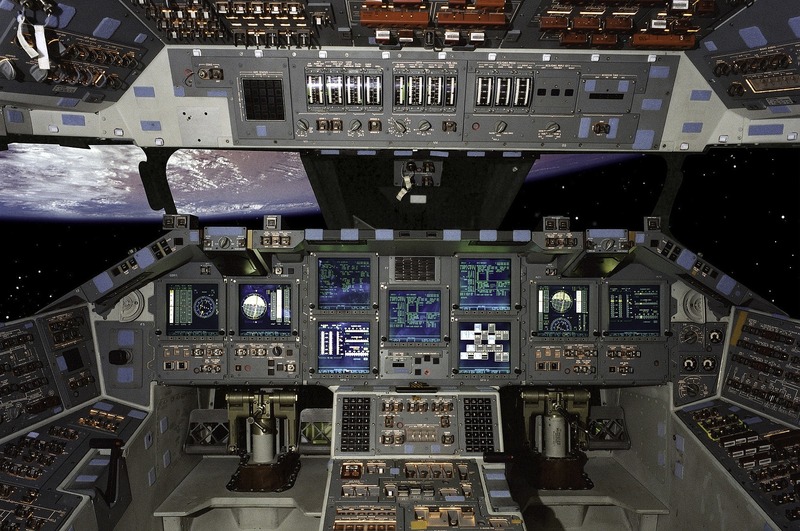 The corporate world will be at the forefront of the conquest of space. Big money will be planting it’s flag whether it can. Wherever money goes, corruption soon follows. One day someone will unwittingly join a select group of other human beings who have achieved a first in space. They will be the first murder victim. Law enforcement will extend its reach to the other worlds of the Solar System. I don’t think to speculate on the finer details and brushstrokes of law and order beyond Earth. I do think it would be an interesting thought experiment to wonder just what may await the very first space cop to come across the very first murder scene in space…. Ceres comes around, drifting into view as your transport approaches. The mining facility on the dwarf planet and the transports AI exchange pleasantries; handshakes, exchanges of code and other silicon bureaucratica dart across several thousand kilometres of vacuum. The transport is on old Tesla: a pilotless model now used as a taxi between outposts in the asteroid belt. Ceres is of course the largest settlement out here. Ever since the Asteroid mining business took off in a big way in the 2050s, this stretch of space between Mars and Jupiter is the new Wild West. 16 Psyche; the remnant metallic core of an ancient protoplanet is the real prize. Ceres is the main stop off point to 16 Psyche and scores of other frontiers out here. Now it’s the first crime scene in the Asteroid belt. You’re quietly amazed it’s taken this long. 16 Psyche has seen plenty of action. It’s heavily guarded. It has to be. It’s worth over 10000 quadrillion dollars. Plenty of skirmishes. Ceres is quieter, but people will be people. Get a few hundred thousand together in an enclosed space and they begin acting funny. See, cops on Earth have it real easy. People have been killing each other there since before they were people. There’s a lot of knowledge to draw upon, because forensics and taphonomy have several thousand years of crime to study. All of it earthbased. Up until this day outer space has technically been a Utopia. No killing. You feel like you’re investigating a murder in the Garden of Eden. Boy, that would be a story and a half…. So what does happen to a body in space? What happens to a body on another planet? Every single environment we can think of beyond Earth is utterly hostile to anything larger than a bacterium, and even they have only managed to hitch rides on spacecraft. Life isn’t at home in space. So how would death work there? That sounds like a dumb question. Death doesn’t work. When you die you stop working, right? Huh! Death is messy, but it’s actually a process, with discrete steps. Of course all living things cease functioning eventually, but for all multicellular organisms death is akin to synchronised swimming: hard to figure out with a lot happening beneath the surface. Death comes to us all, from the smallest bacterium to the largest redwood tree. It had one obvious and final result, but this result can be arrived at in many ways. It all depends on exactly what you are too. When you die, yes, you stop working, but like a cheesy zombie movie it doesn’t really end there. There’s still plenty happening as your body transitions back to inanimate matter. Because that’s what’s happening really. You’re being broken down and cycled back into the firmament. Okay. So you’re dead. (Just work with me okay?) Your heart has stopped and your body is switching off quickly. About 4 minutes after death your body begins to undergo autolysis. This essentially means that your body is digesting itself. This is as disgusting as it sounds. As oxygen decreases to be replaced by carbon dioxide cellular enzymes in the body are free to roam unchecked. So off they go, breaking down all in their path; rupturing cell membranes and releasing their contents into the mix. It’s like the prison guards have suddenly stopped being paid and so they decide to let all the prisoners loose. Obviously a riot would ensue. Autolysis is your body being broken down by a biochemical prison riot. Gases are produced inside your body by all of these enzymes and microorganisms: particularly in your gut. Your body swells like an unopened can of coke after being shaken. This is where the magic happens. Microorganisms are now officially in charge. Further breakdown of tissue turns you into a fetid mess. Those gases produced during the bloat stage? Those ones in your now distended gut? They begin escaping; sometimes violently. We all know what happens when gas escapes our bodies. Sometimes this out gassing is so nasty it ruptures the skin! Putrefaction essentially means that decay is running rampant and you now resemble an extra from “The Walking Dead”. 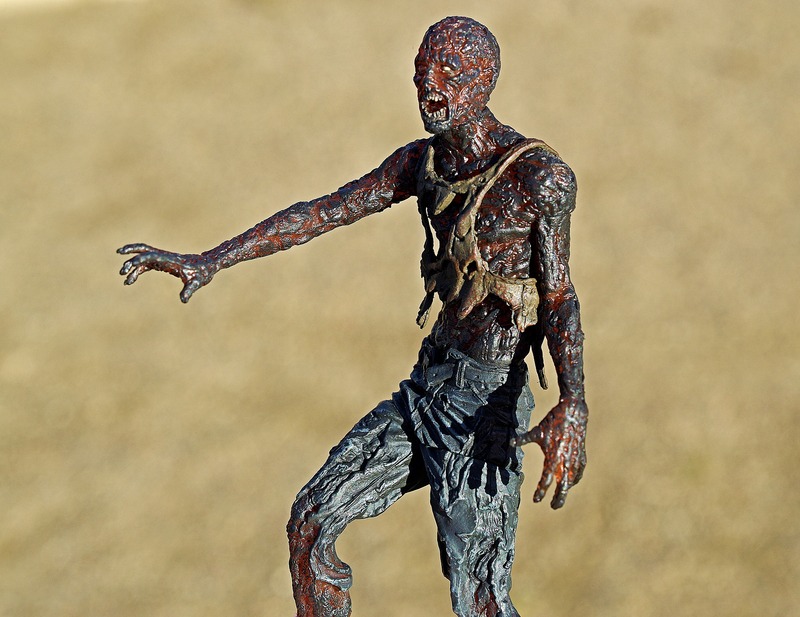 If you’ve ever seen that show, or anything featuring the undead, you’ll notice that often the dead are crawling with maggots. This is an important stage in decomposition. Breakdown by insects and larger animals is part of putrefaction, and a necessary function performed by these creatures. If nothing broke down dead bodies the world would be awash with diseased corpses. Forget “The Walking Dead”. This is nowhere near as cool as it sounds. The last discrete stages of decomposition are mummification and skeletonisation. Mummification means that whatever is left behind after voracious bacteria have exhausted your body’s nutritional goodness and larger creatures have cleaned you out and moved on just dries out. Usually this is skin. It becomes a dry dessicated shrink wrap around your bones, which are themselves leaching their component compounds into the environment. So that’s it in a nutshell. Death. Hang on, you say. I thought this post was about Ceres! I thought it was gonna be detective story set in space, like CSI meets The Expanse! Well it is, but to understand how death works and to understand death in space we only have a single frame of reference: Earth. 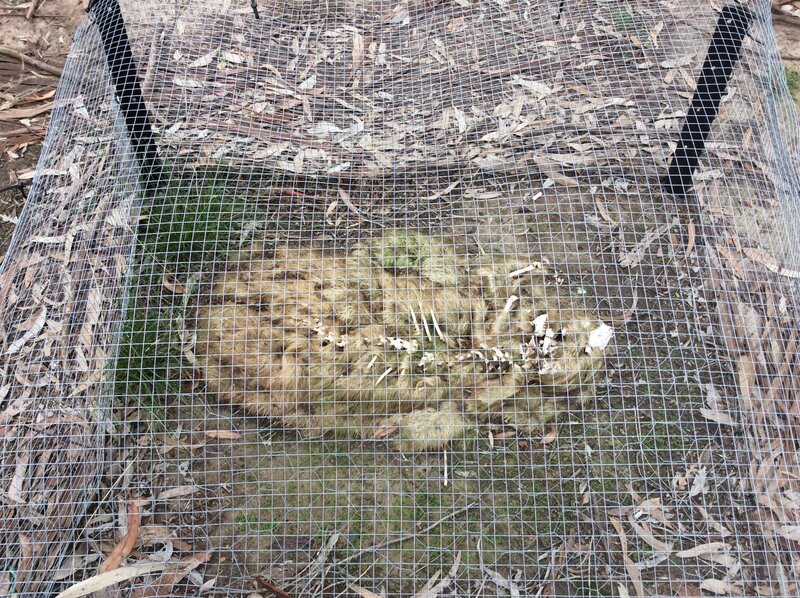 A marsupial body farm. Decomposition on earth is at the whim of countless variables. Image: LaTrobe University. Let’s head back to our unfortunate murder victim, sailing serenely around the largest asteroid/dwarf planet in the solar system. You’ve gone out and collected the body, cursing several poor life choices as you bring it into your transport. Be a space detective in a someone’s blog post they said. It’ll be fun they said. The body on the slab can’t tell you much. Trying to work out a time of death will be problematic, at best. It’s hard to tell how long this guy’s been floating home. See, the stages of death mentioned before tend to be fairly discrete and take place in a fairly predictable sequence. Of course Earth is one big mess of wildly changing environments and variables. Gil Grissom would have found life easier out here. Space is a little more unchanging. Pallor mortis. A paleness sets in within minutes; more noticeably in those with lighter skin. Algor mortis. Internal temperature regulation is switched off. The body’s temperature acclimatises to that of the external environment. The rate of acclimation can actually be used with some precision by investigators to determine a reasonable time frame. Rigor mortis. A stiffening of the body occurs around 4 hours after death. This is due to chemical changes in the body causing cellular fluids to gel. This can be affected by the environment. For example, freezing cold can greatly prolong the time it takes rigor mortis to take hold. Livor mortis. When a body has been prone for some time blood (particularly the heavier components like red blood cells) settle, pooling in the dependent or lower portions of the body. This causes reddish purple discolouration in these lower portions. Livor mortis usually starts becoming really apparent about 2 hours after death. Alright then. You’ve read the Wikipedia pages. You know how death works. But you’re in the asteroid belt. There’s no gravity, no air and no insects or scavengers out here to make short work of this poor sap’s remains..
Time to roll your sleeves up. 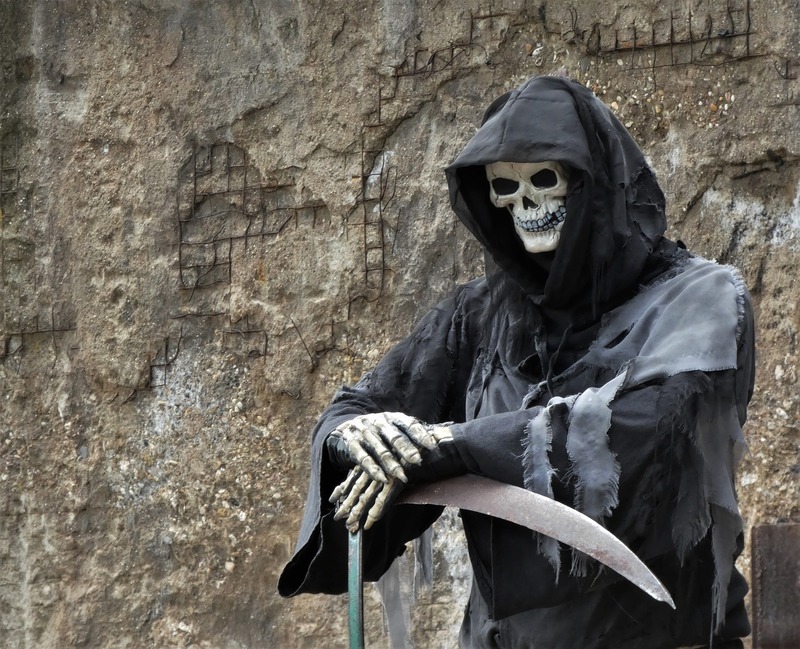 A lot of things are confounding your attempts to determine a time of death. First of all being in a vacuum has freeze dried him. He went out for a nice space walk without his helmet, remember? His nostrils and mouth look burnt because they are. In a vacuum liquids instantly boil away. It’s no different to what happens when you open a can of coke. The pressurised carbon dioxide in the drink depressurises, forming bubbles of gas. This is a more extreme example. The saliva and fluids in his nose boiled away instantly. Ouch. People don’t explode in space. Forget every B-grade science fiction movie you ever saw. Your skin is actually pretty tough- as are your eyeballs. This guy is bloated though. Depressurisation has caused the water in his body, particularly in his circulatory system, to start boiling. His blood vessels have expanded and ruptured. Not to mention the fact that this guy didn’t listen to any safety instructions during his time in space. Golden Rule when being cast out onto the Big Empty: exhale. Do not hold your breath. Have you ever blown too much air into a balloon? The air inside becomes pressurised, more so than the air around the balloon. We’ve all scared enough small kids and cats to know what happens. You’re trying not to imagine what’s left of this guy’s lungs. So anyway. There goes bloat as a yardstick. So. Your murder victim is frozen, freeze dried and a purple mess with a case of weapons grade sun burn. No sunblock out here. No pretty blue sky protecting him from deadly solar radiation. Had he survived he would have had a million percent chance of terminal cancer anyway, and soon. Livor mortis is nowhere to be seen. No gravity well down which red blood cells can settle. Algor mortis seems tricky too. He didn’t freeze instantly. Again, forget those bad Sci Fi movies. Heat transfer happens via conductance. Space is a vacuum. There’s nothing to draw heat away from this man’s body. He’s frozen now, but he’s not a popsicle. About the only normal stage of death you notice is rigor mortis. The ion channels and transfers involved in muscle contraction and relaxation don’t seem to be affected by being in a vacuum. Maggots and scavengers feeding on a body are disgusting to be sure, but they’re also really handy for determining how long a body has been lying around somewhere. Insects are purely driven by instinct, so on finding fresh meat they deposit eggs, or feed or interact with the corpse in very discrete waves or phases. 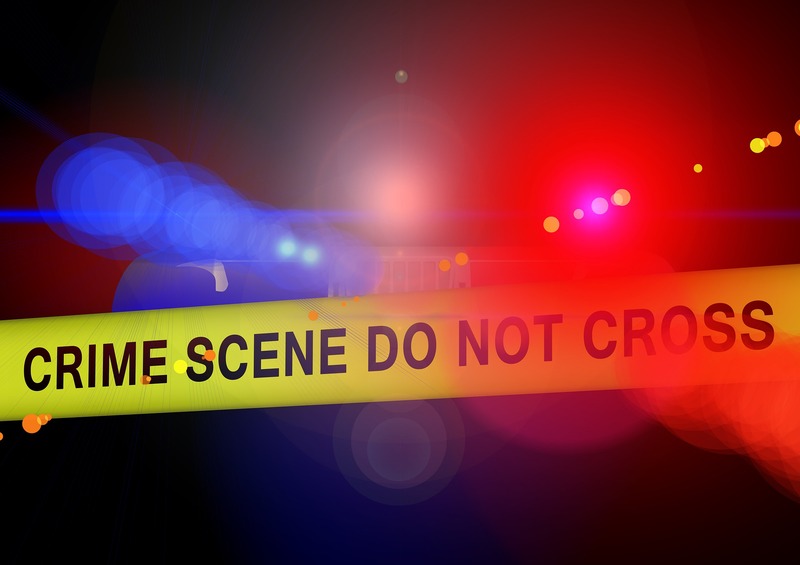 These phases and even their durations are so predictable that forensic entemology is one of the most useful tools investigators have when determining times of death. Stupid earthbound forensics guys you mutter under your breath. They think they’re so cool, don’t they? Not so much as a tick on this guy. Not even bacteria or fungi. They don’t do well in a vacuum and they’re all in cold storage. Radiation would have wiped most of them out too. This guy is basically perfectly preserved. No pooling of blood, no putrefaction and no chew marks from hungry scavengers! It looks like you might have to look beyond regular physical and chemical factors surrounding death here, because out in space they mostly don’t apply. Cause of death? Er, being thrown into space without a helmet! He would have passed out within a minute or so. Blood pressure became essentially nil, resulting in no oxygen getting to his brain at all. In addition exposure to the vacuum caused oxygen to be dumped from his brain. He died of asphyxiation, before ruptured lungs and internal membranes got to him. Your first instinct as a cop, and particularly as a space cop in this blog post is to establish a time of death. Unfortunately, no such studies have been carried out just yet. Mankind is still stuck in Low Earth Orbit. If the forces of ignorance ever gain control (if they haven’t already) we may never leave LEO. But, if we do…it’ll be business as usual. Crime will colonise the solar system along with us and wouldn’t it be useful to get some space forensics knowledge under our belts, so we’re ready and waiting for it? Vass, Arpad A (November 2001). 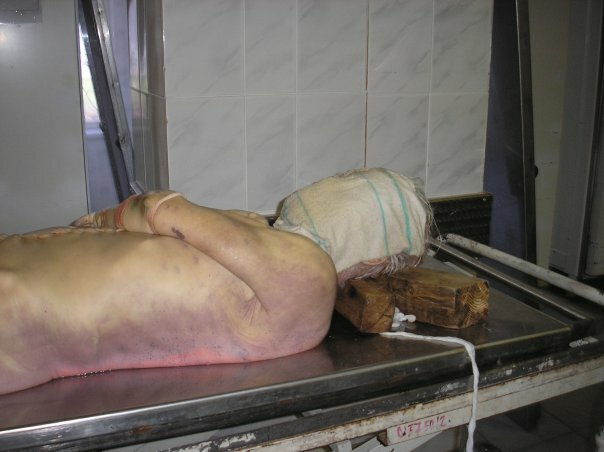 “Beyond the grave – understanding human decomposition” (PDF). Microbiology Today. Spencers Wood: Society for General Microbiology. 28: 190–192.